With the low levels of inventory that we are faced with in the market now, it is crucial that you have all a few things in order to secure your next home. GET A PRE-APPROVAL LETTER - A pre approval letter is from your mortgage company stating you are pre-qualified to purchase the home and the terms are outlined. Chances are, you could find yourself in a multiple offer situation and the seller wants to work with offers that already have gotten a pre approval. Plus, with a letter in hand, you have more negotiating power! I am a Buyer's agent and can represent you with your real estate purchase. The seller already has their agent. You know... the one who has the sign in the yard. As your agent, I will work exclusively on your behalf. General practice is the buyers agent's commission is paid by the seller not you the buyer. Can show you any home you see in the MLS or on this website. Can help you narrow down the houses that best fit you needs and wants. Will look out for your best interests. If there are things that seem to be a challenge in a house that we are looking at we will let you know immediately. I will help you understand the Purchase and Sale Agreement. I will negotiate and write your Purchase and Sale Agreement. I will assist you in getting pre-approved with a lender. I will assist you in locating a recommended Home Inspector. I will explain a home survey, termite letter, termite bond, and title insurance. I will setup the closing and make sure that all the documents are in place. 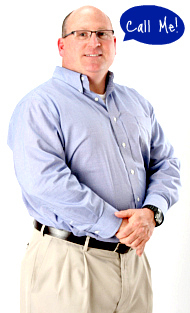 My name is Chip Hurst and I am local real estate agent in the West Atlanta Area and a native of the Atlanta area. My brokerage is The Realty Group and it is unlike most real estate companies that force you to do things one way or their way. We are always looking for new ways to make The Realty Group and West Atlanta real estate more efficient AND without sacrificing quality or service. If you’re looking to buy a home in West Atlanta or sell your existing West Atlanta property, I will be happy to take care of your real estate needs. My mission is to provide outstanding customer service while utilizing the best practices and systems available. For more information about real estate services and how I can best serve you, please fill out the online contact form or give us call today! Fill out my Buyer's Information online form.